I think he wanted to gut it, and put the Retrode GB adapter in. Indeed that's what I would like to do, I have a faulty SGB at home that I don't know what to do with. I just found out that one of my Game Boy Color games (Kirby Tilt 'n' Tumble) uses MBC-7 and EEPROM to save. Is it known if this game will work at all with the adapter? Not known until someone gives it a try. There is little documentation on the MBC7 bank controller. EEPROM saves and the accelerometer gimmick will not work, that's for sure. I have *some* N64 games, but most of the cartridges that I have are NES. Just out of interest, would you do all that via retrode.cfg, or would you consider using switches on the unit itself? I would guess the latter would make it a lot less fiddly, though would of course bring the price up a little (and it would need either good labels or good documentation else it would be more confusing ). 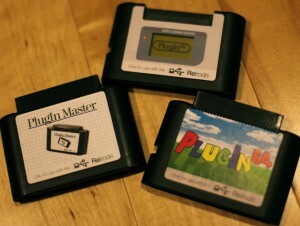 Is the Neo Geo Pocket plugin supported in the firmware? It says it is on the list but I see nothing about it in the config. Good to hear! Didn't know there were two adapters.